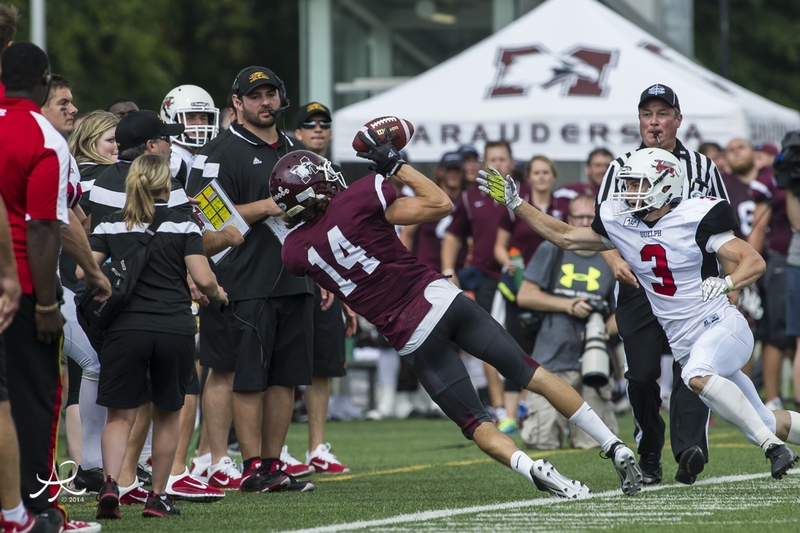 McMaster football is proud to announce our annual Marauder Football Skills Clinics. Led by the Marauder Football coaching staff, we offer several camps tailored to skill development at specific position groups. The goal of all camps is to provide an enjoyable learning experience in a safe and structured environment. We will be featuring all three development clinics on one date: Saturday, April 13th, 2019. Please see the camp descriptions below for further details. McMaster Football is excited for the return of our annual lineman skills camp which is now rebranded as the Trench Academy! The first of two on-field sessions is entirely non-contact with the focus on fundamentals and teaching the techniques necessary to be a successful lineman on either side of the ball. The second session will see those skills put to use in an optional, light contact (helmet and shoulder pads - rental available), competitive period. Cleats & mouthguard mandatory. Geared towards both offensive and defensive players, our annual Pass & Cover Skills Camp focuses exclusively on the passing game. The first of two on-field sessions will focus on drills, skill development and 1-on-1’s. Systems will then be installed for a full 7-on-7 skelly session in the afternoon. Pass & Cover is entirely non-contact, focusing on skill development and fundamentals. This camp is open to all quarterbacks, running backs and receivers on offense, as well as defensive backs and linebackers on defense. Cleats mandatory. The Good for 3 Kicking Camp is designed to teach young kickers the physical and mental skills needed to excel at the next level, be it high school or university. Athletes will learn fundamental drills and techniques used by both university and professional kickers. Players will have the opportunity to learn from classroom instruction as well as receive detailed training programs for preseason, in-season and postseason development. Also talked about in depth is the ever-important mental aspect of being a high level kicker.